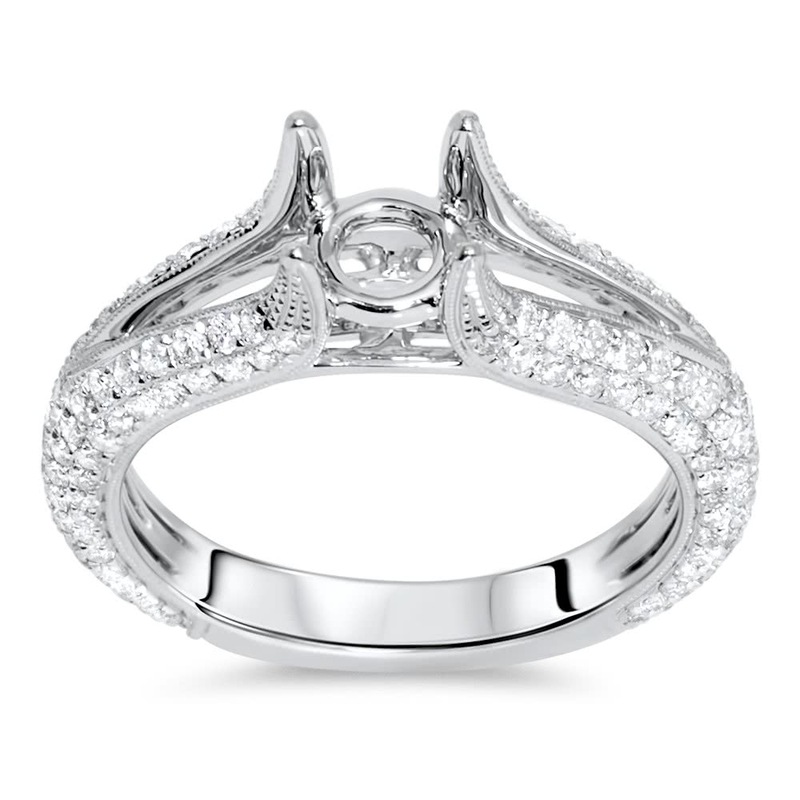 Antique style engagement ring is set in 18k white gold and has 156 round brilliant diamonds. 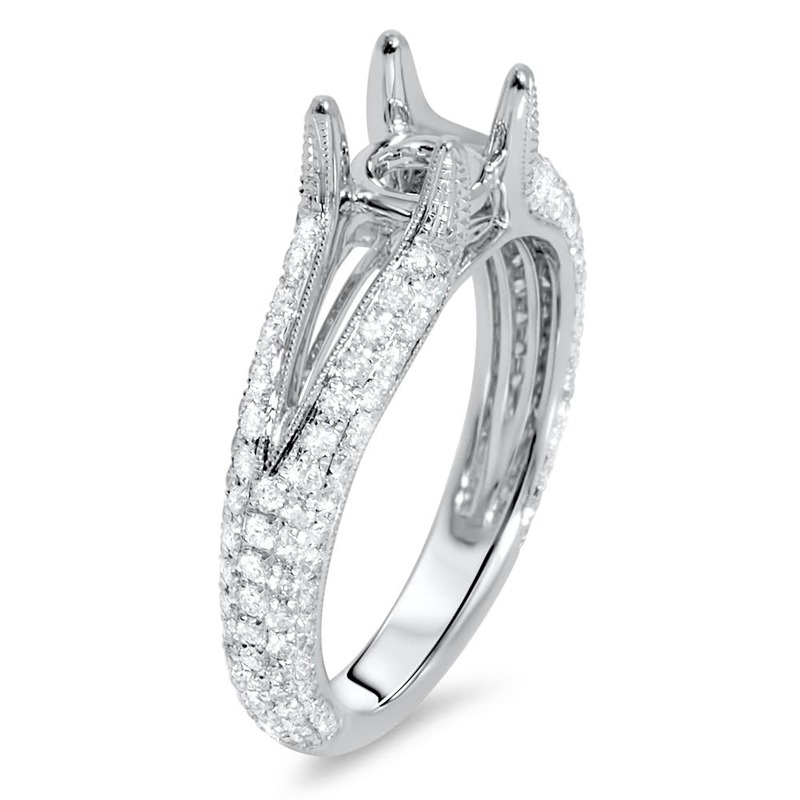 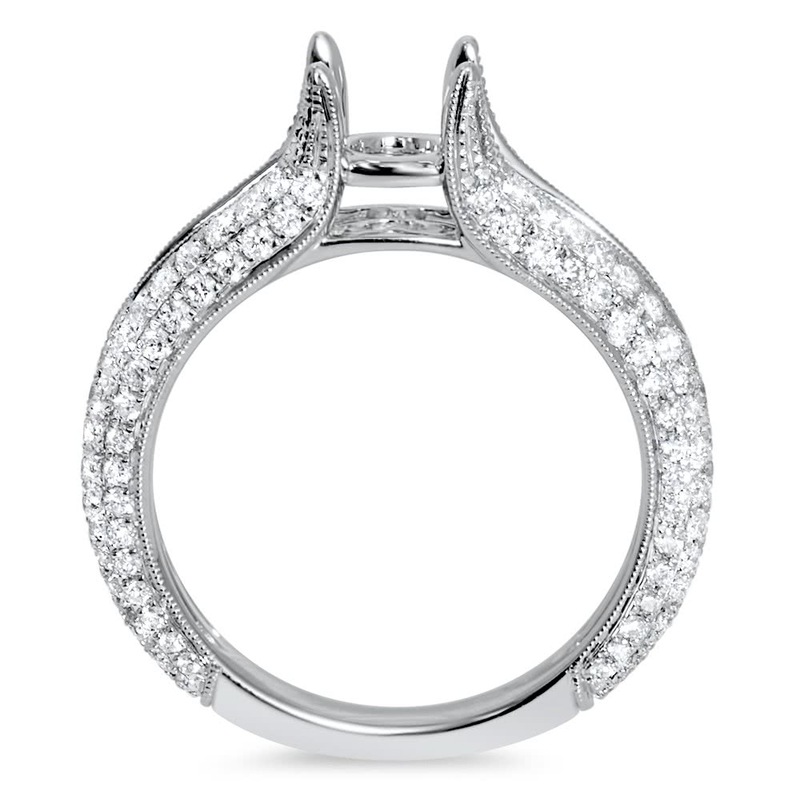 The diamonds are pave set and the split shank style is framed in milgrain. The ring can accommodate 2 carat round or cushion shape diamond.